Continuing our How do you stay fit series, this week we introduce you to Wilhe A.
Wilhe was one of our Chalean Extreme challenge participants and we just love her! She works hard and is a great encourager. We hope you enjoy “meeting” her today. I have two beautiful daughters ages 3 and 1. I mostly stay at home with them but work part-time one day a week. When I’m not driving to preschool, I’m chasing the kids around the house getting them tired for nap time. Our regular activities include making it to the grocery store and driving through Starbucks. I plan ahead! I start the day with my gym clothes on. 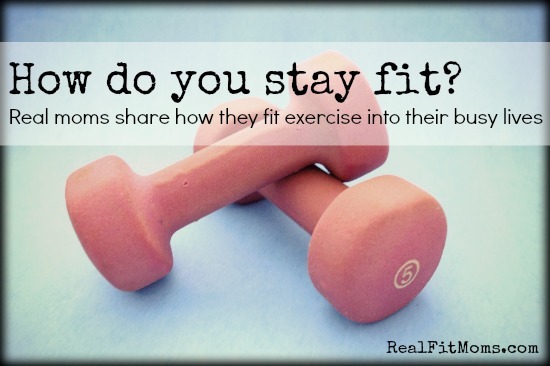 I usually exercise during nap time or after the kids go to bed. Once a week I take them for a walk in the double stroller for fresh air. I would prefer to work out mornings when I’m most refreshed but that doesn’t always work out. Nap time is 1-3pm so I jump on the elliptical at home and watch my recorded episodes of the Biggest Loser. But if nap time doesn’t work out, I wait until after the kids bedtime and head to my local gym and do the 7:30pm class at the gym. Zumba for sure! Monday and Tuesday nights my sister meets me at the gym. If we get there too late and there’s no passes left then we race each other on the treadmill 5k and hit the weights. With my second baby I gained 70 pounds. With the help and support of themarathonmom.com and realfitmoms.com I’ve lost almost all of it in one year. I have 8 pounds to go. My daughter’s first birthday is next week. I feel pretty darn good about it! I plan to wear a bikini by April! Currently I am working off these last 8 pounds. Also I want to feel strong and see definition in my body. My plan so far is to do fun exercises when ever i have time. I’m not following any one plan or DVD right now. I’m feeling a little burned out. Instead I’m doing Zumba class Monday & Tuesday nights, elliptical in front of the TV on Wed & Thur nap times, and walking with the double stroller on Friday mornings. BBQ chicken, brown rice, and seasoned broccoli & mushrooms is a once a week staple. Starbucks mochas! Once a week guilty pleasure! Yes! Either spa day or clothes shopping. I like seeing the clothes sizing going down. Instead of stressing out and giving up, just pick one fun exercise on a weekly basis to look forward to. That’s what Zumba class with my sister is for me. 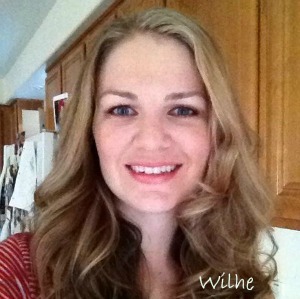 Thank you, Wilhe for sharing your story with us. We are so proud of you and all the hard work you have put into getting healthy. If you’d like to share your story with us, click here to fill out the form. We’d love to hear from you!